Home » Travel Hacks » Family Tips » FAQ: What About School? If I had a dollar every time someone asked me about how I educate my kids, I’d be rich. So here it is. Here’s how a couple of digital nomads educate their children while travelling the world. My kids were in daycare at 2 years old, for 3 days per week before we started this journey back in 2012. I remember our first week in Bali as a nomadic family and my kids were there… all the time. 24 hours per day. I had no idea what to do with them. The more we travelled the less we thought about their education back home. They were learning so much naturally. By 4 & 5 years old both kids could count to ten in 4 different languages, they understood currency, geography and a lot of history. I’ll never forget the day I received the message from a private school back in Perth, Australia - I had pre-registered placements at their births and was asked if we still wanted their spots. After much soul-searching I sent back a “no”. Next thing we knew years passed and I had a 5 & 6-year-old still travelling the world and well past the starting age for primary (elementary) school. Josh and I had already been educating ourselves on schooling long before this point. We’d heard of a thousand terms from “home schooling” to “unschooling” to “world schooling” to educational principles like Waldorf, Montessori, and others. In December 2014 we visited Finland. The starting school age there is 7 years old. Kids are free to be kids. They don’t have any homework and can spend time outside school with friends, family, doing exercise, learning music and having a life. Finland has one of the most remarkable education systems in the world, and it’s not by accident. So we decided not to worry… At least until they were 7. Now we’ve been travelling for over 4 years, my daughter is 7 and my son is 6. I still believe Mia and Caius are incredibly smart. They learned about the American presidents when we visited Mount Rushmore. They learned about the moon and tide systems they were at Hopewell Rocks in Canada witnessing earth’s highest tides. When we were in Bali there were so many frogs, that they curiously wanted to learn about the frog lifecycle. Their passion for learning is strong. But I didn’t want them to fall behind. So I knew I wasn’t going to be able to pull off the entire hands-off unschooling ideal. I also knew I didn’t want to be a full-time teacher. So I looked up the Australia home-school regulations dreading how many hours I was going to have to give up for my kids’ education. Then I read that the recommended active time for home schoolers is 6 hours per week. Per week. Not per day. That’s only 1 hour per day. I could do that. What the hell are they doing at a traditional school if I only needed to teach them for 1 hour per day? 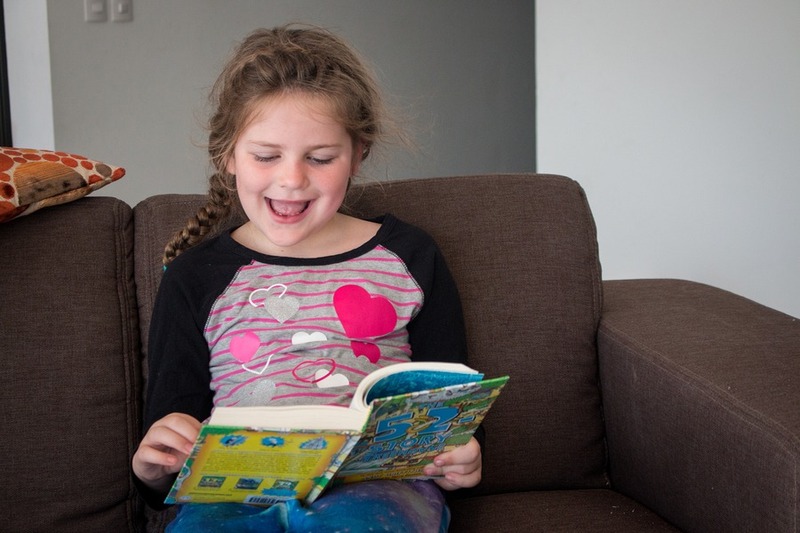 So in March 2014 I started a more home school routine on top of our unschooling. I picked up a few workbooks while in Australia and implemented YouTube learning as a complement. We had used some basic exercise books before that point for developing pencil skills. Things like dot-to-dots and mazes. But now I bought educational ones focusing on mathematics, reading, spelling and grammar. Speaking of YouTube, I recently found this amazing video by Prince Ea. It explains a little bit more about our thinking better than I ever could. I picked up the new Macbook for myself, so we let the kids keep my old Macbook Air for their computer work. The laptop is used for Minecraft-based learning. They were also utilising ABCMouse.com when they were under 5 and now enjoy ReadingEggs.com, which offers a very good interactive reading and maths program. Most recently we have also found a great collection of fun educational games on TestingMom.com. YouTube for science, geography and social studies. We also use our Amazon Fire to watch YouTube on any TV we have access to around the world. When we got started we had a hard time coming up with inspiration and Mulberry Magazine was a great source for that. They have a digital or print copy just for families looking at taking a different road to schooling. We carry around 2 pencil cases. 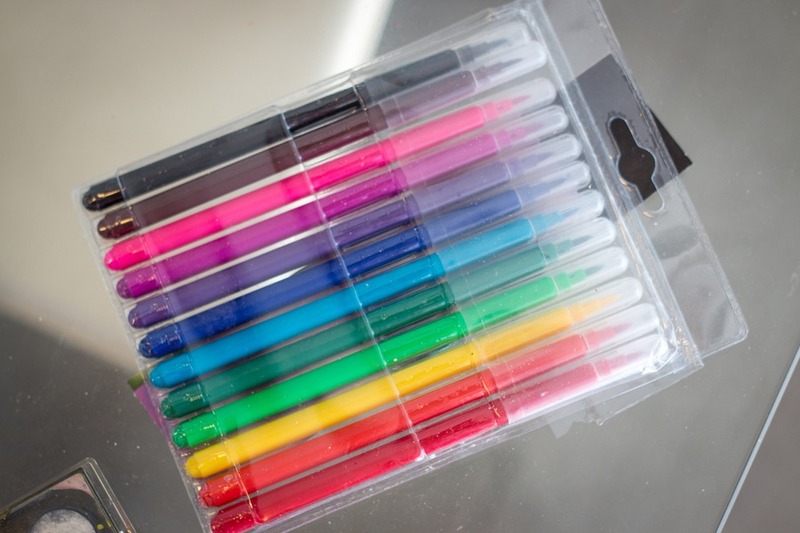 The small one is filled with lead pencils, an eraser, a sharpener, textas (markers), colouring pencils and these magical things (Pencil Claw) we used to encourage my son develop a better pencil grip. 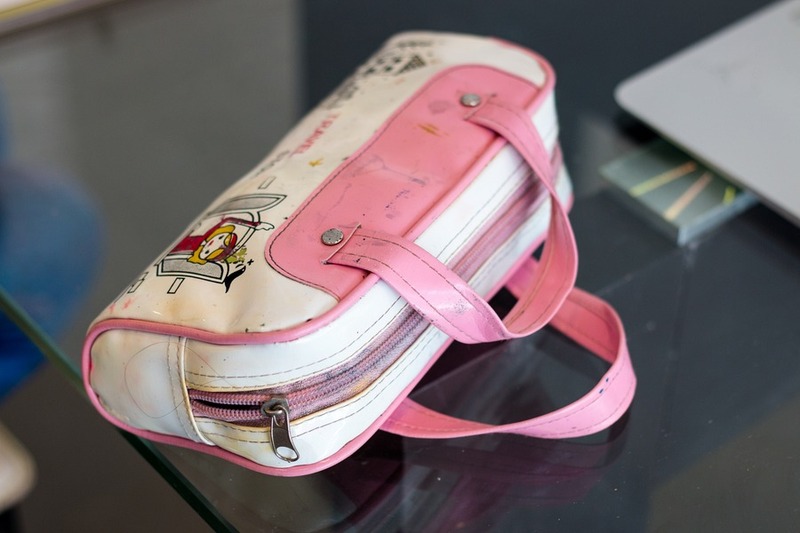 The large pencil case carries paint, paint brushes, a ruler, stickers, stamps, sticky tape, scissors and bits and bobs. We keep a set of these in a clear folder. They are light paperbacks making the perfect travel book. We tried a few Keywords with Peter & Jane from a friend, but they seemed a bit easy now that they are 6 & 7. 52 Storey Tree House - you got to read this one, it's hilarious! Yes, they are heavy, but we tried books on the iPad and it just wasn’t the same. The kids love real books and so we sacrifice luggage space (mainly my shoes) so that the kids can have more books as we travel. Our kids have been working their way through School Zone Big Workbooks and love them. Mia has just about finished the Grade 2 book, and finished the Grade 1 book last year. 5 days per week we let her choose one page from each of the coloured sections in the book. Sections are split into time, maths, reading, writing, science, etc. Caius learns differently to Mia and we found the First Grade Skills more his style. He loves being rewarded with a gold sticker after completing every page and after the last 6 months he only has 3 pages left before he’s completed the entire book. Both kids found the Kumon writing book too boring. We have one, but no one has wanted to learn from it yet. 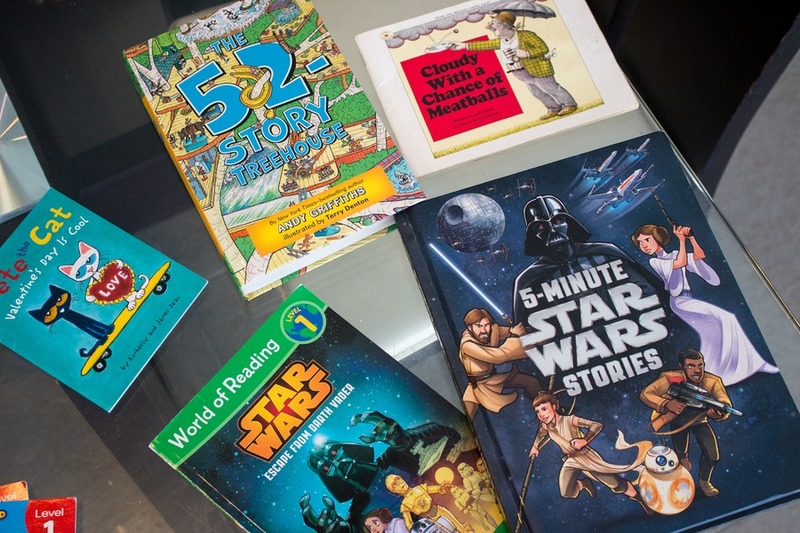 So instead we brought the Star Wars Reading books. Both love these. We also use a maze book and dot-to-dot as fun ways to practice pencil technique, counting and problem-solving. So many books! I’ll be glad when we have a more permanent home base to store these at. When we are travelling at a faster pace we don’t use the books at all. We carry a book for reading to the kids at night, but that is all. Their hands-on learning is done on the road. When we went swimming with whale sharks we asked them questions and taught them at the same time. When we are stationary for a couple weeks we bring out the entire book collection. During our 2 months in Mexico in June-July, and our 2 months in Kelowna, Canada in September-October we follow a 5-day education routine. We wake up in the morning, all grab breakfast and sit at the dining table. If I open my computer I am lost to work so I refuse to look at my computer until we’ve done our walk/bike ride, and learning. Mia is allowed to do any page of her book as long as she does one from each coloured section of the book. Caius is required to do 3 or 4 pages from his book, plus a dot to dot and a maze. Then we ask them what they would like to learn about on YouTube and they watch anything from “how lipstick is made” to “how far away is Mars?”. There are no electronics before midday so the rest of the time they will spend playing and using their creativity until lunch time when they are allowed to have their kindles or laptops and do Reading Eggs, Minecraft or video games. This gives us parents a bit of time to do our work. Generally, that lasts a few hours before we visit friends or we go shopping or whatever comes up. Every night before bed I let the kids read by themselves for 15 minutes and then we read to them for 15 minutes. What About Education Around The World? Sometimes different locations afford us opportunities to add to our learning. Recently in Mexico for 2 months I hired a tutor to teach the kids Spanish 3 times per week. When we spent a month in Croatia the kids went to a French/Canadian daycare and learned new languages. When the kids were younger they went to daycare 3 days a week in Bali, Penang, Kuala Lumpur and Bangkok during our month long stays in each destination. This is where they learned to count in different languages. The Bali daycare was amazing. I will never forget the day I came to collect them and they were making forts out of cardboard boxes, utilising their creativity. Currently in Kelowna, British Colombia the kids are attending music lessons twice a week. They also recently spent two weeks at summer camp, Mia learning Minecraft, Caius in sports. As we tell our story to folks we meet around the world we receive common questions and feedback. The vast majority are inspired and impressed. Of particular interest, when we speak to current and former teachers, the feedback has been unanimously positive. They all declare that travel is one of the best ways to school children. Not one of them has said Mia and Caius would be better off inside a classroom – quite the opposite. We tried a traditional primary school for a couple months to see how the kids socialised and how they stood academically. Their teachers said they fit in perfectly and were actually ahead of most of their class. Once I heard that, my education perspective felt validated. So Am I An Unschooler? I guess I am an “unschooler” since we don’t follow any curriculum-based education. But then I guess according to the 6-hour Australian home school requirement I am a “home schooler”. And since we have been travelling for 4 years, and using that as an educational experience, I am a “world schooler”. I don’t know which hat I am supposed to wear or if I need to wear any. I mean, our life is hardly cookie-cutter anyway. We don’t try to fit in a box. All I can tell you is since we started long-term travel with kids, I have become a more passionate mother who is keen for her children to be all they can be. If they never go to college/university it would not bother me. Josh and I both have graduate degrees that we no longer use for our careers. We created our own jobs and are our own bosses. I want my kids to have skills to create income whatever their passion is. I want them to grow up as entrepreneurs and with an outlook that sees the world as their oyster. With the attitude that anything is possible. To demonstrate compassion to fellow humans, and treat our planet with respect and care. Kids are naturally curious, wanting to learn more about their world. My job as a parent isn’t to force education upon them, it’s to stoke the fire that burns within. Over several years we have developed a clearer image of what well-educated children look like. We’ve challenged our own preconceived ideas about education. We’ve discovered there’s no one-size-fits-all approach. Each human is unique and different, so it makes sense to personalise a child’s education to reflect their learning style and interest. Just as life never stands still, neither does our philosophy on life-long education. We’ll continue to learn from other families and educators. We’ll listen to our children, finding out what works for them, tailoring their learning experiences. And we’ll even continue to learn from our kids. After all, home schooling isn’t just for children. Recommended: Try Reading Eggs for free for 2 weeks! Also get 100 free practice questions at TestingMom. Experience is one of the best teachers. When I was growing up, I was blessed with parents that saw the value of travel. We always too summer vacations to a scenic or historical location. I learned so much! Amazing! Thanks for sharing, we are still early on in our worldschool days and I still haven't quite found our groove. It's good to see you have found a way that works for your family. Hi Erin, I have been reading ur adventures from time to time since i saw u on tv in Australia. Since my daughter was 5 months we left australia and travelled to philippines(where im originally from), thailand(where my husband wished im from), cambodia, vietnam, hongkong, indonesia ,singapore... then back to perth for 3months, and now been travelling again and my daughter is 2 nxt week. Unlike you, we're budget travellers, as we only what we saved, and we're in our 40's. So its harder taking care of a child and more worrying and discussions with my partner. But we have enjoyed every waking day with good morning kisses and cuddles and sleep ins. My daughter is really smart, she says her name when asked since she's 10months... she now knows simple thai words, and some balinese, and a lot of filipino words. she sings songs a lot, thats what we do when her papa taking too long chatting with other foreigners he met, (he calls it research.)hahah. and we are also looking for our place where we would relocate, do small business, and start isla's schooling. she counts to 20 now, and knows shapes and colors. but, i don't think i can be a good teacher when it comes to more complicated stuff and she's alone, i want her to learn with others and have fun with other kids coz she loves playing, she's very generous, cooperative, sympathetic with other kids. but sometimes really stubborn with me, maybe its her age of learning independence... she goes 'isla do it'... lots of things im so glad im here with her than me at work and she's in childcare. You're website have helped me a lot, reminding me about things, suggested locations, etc. keep up the good work. Hey Erin, love your blog, We got heaps of great info from you when we went to Penang so thanks so much for that! Have always wondered what to do with schooling if we took a longer trip with the kids so thanks for sharing what you do. Maybe also check out mathletics as well, you can do it online and our kids really love it (they do it at school along with reading eggs). Another thing you could try is doing a list of words (starting at 5, then going up to 20) they have to copy out Monday to Thursday with revision on Friday and a couple of sentences to incorporate the words to. Enrolling them in summer camps is a great idea. I never thought of that. They have them all through the holidays in Australia as well so that might be useful if you guys are back here of the school holidays. Am so excited to see you guys are still out there with young kids, very inspirational, best of luck with all the school stuff! This is so great. 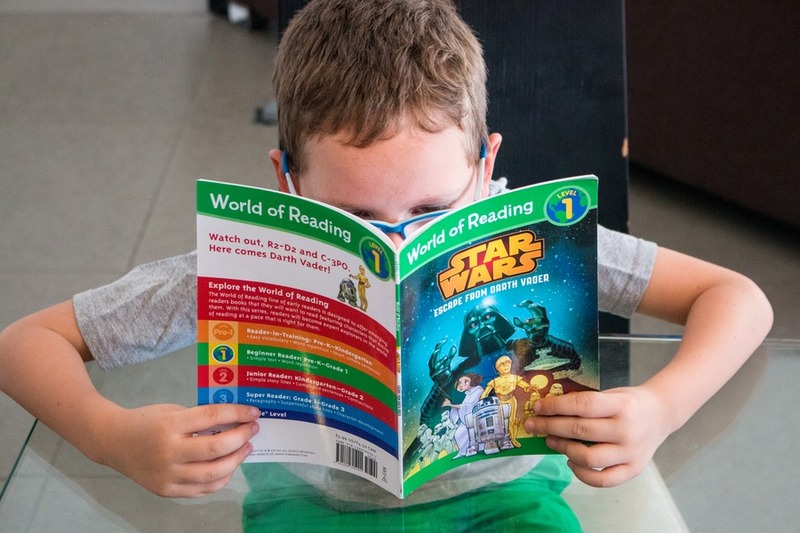 Also, 5 minute star wars and those Star Wars workbooks are much loved in our family, too. Great article Erin Bender! This has been a frequent topic of discussion for our family. The last 9 months we have been fairly stationary in Mexico and put Elijah (now 7) in school. Prior to that, we spent a year world/homeschooling as we traveled. It's been really interesting to watch him transition from self-guided/parent lead learning to traditional classroom learning. Since Elijah is an only child (and a bit shy) we felt it would be best for him to be in a traditional school so he could make friends and fulfill his social needs which we were unable to fully provide. On the upside, he is definitely getting the socialization he needs, but we have noticed a huge decline in his lust for learning. We have been leaning towards going back to homeschooling but have our own concerns and fears around things like socialization, what to teach so he doesn't fall behind, and how to balance our own work schedules with his schooling. Thank you so much for sharing your routine and all the wonderful resources - so helpful! As a fellow world schooler I definitely get it.! What a rich and varied education they will have, and I bet their passion for learning won't diminish! So many great tools r out there as you know, a couple of our faves are Razkids (reading), Wordly Wise (vocab/ spelling) and Dreambox (Math). Some great deals on a lot of stuff on homeschoolco-op.com. We got a subscription to Discovery Education streaming through it and it's fantastic for unit studies. But even with all the tools, it still seems that the hands on exploration so key to traveling is the best! The Australian Curriculum online will show you what the current curriculum is in Australia now that we have a universal one. From there this can help you decide which books, apps online resources you can use. At least you can see where your kids are expected to be in regards to Australian standards. I wish you all the best. We use mathletics, reading eggs, Komodo Maths, squeeble spellings, maths bingo and some practical activity books plus they write journals and stories! This is exclusive of RE, Geography, Science, History and PE on the go with daily activities. We have visited museums in every country we have been so far. We go to temples of various religions etc. Use my 11 yr old son as an example. Now in our 5th year of world schooling. He returned to school for 1 full term only and got 90% A's. Yet he has travelled to 67 countries and I dare say knows some facts and has experienced more of the world than many teachers who have been limited by 4 walls. Each family should do what is right for their child/ren. Keep doing what works for your family! Education is far more than 'school'. So many great online programs out there - Studyladder, Reading Eggs, Mathletics, K12 for print offs, LiteracyPlanet - great for spellling and sight words games - (just download the dolch sight words list for age appropriate) - input words and let them play - best way to learn. You are teaching your kids life skills. Have you seen the awful statistics in literacy rates back in Australia and these kids are "schooled" and supposedly educated? Also teach them your great entrepreneurial skills. University is overrated, expensive and an economy booster which does not guarantee a job at the end of studies but it does guarantee debt (unless parents are loaded). Lastly trust your kids - they will and do teach themselves with self interests. Support them on these and watch them grow. Good luck Erin and Josh. You absolutely nailed it, Erin! That's the best article that I've read on schooling on the road! Fantastic article! Great information, thank you! With our kids being 11&13 and having just began family travel, your article makes me want to turn back times and inspires me to as well. Thanks again and enjoy Kelowna! Very interesting article Erin. I love the fact that my children go to a good school and am constantly amazed by what they've learnt, the experiences they enjoy and how curious they are about the things around them, but it's fascinating to hear how you've found your own take on education. What an amazing opportunity you're giving them and they're clearly learning a lot along the way! I just want to thank you for taking the time to write an inspiring article and also compile such an amazing set of resources! Also thanks are in order for paving the way for myself and others just starting on this journey. I know there was a lot of pushback and dismissal. Keep going because you're wildly inspiring me with your family journey. Oh I'm going to bookmark this article for the day that I'm brave enough and know how to do this. I'm a single mom who needs to generate income so time is limited but when I see the suggested 1 hour per day.. wow!! Gives me another view on the topic. My daughter is now in the French school here in Cape Town and she's loving it so I wouldn't want to take her out because yes the languages are amazing, She's 5 and fluent in Dutch, English and French so in a way I'm worldschooling I guess, by taking many trips and being very aware what we do in weekends and holidays. Thanks for a great article! Thanks a lot. My husband constantly tells me that our children will be fine, but the stereotypes with which we were brought up are not so easy to overcome! Although I remember how all the senior classes simply turned to https://essayontime.com.au/math-assignment-help for help in mathematics because they did not understand why I need differential equations if I am going to become an artist))) Travels have incredibly enriched our life and of course I want the children to feel something pldobny too.